As the next installment in our series of profiles of this year’s June in Buffalo composition faculty, we feature David Felder, who is also the festival’s director. 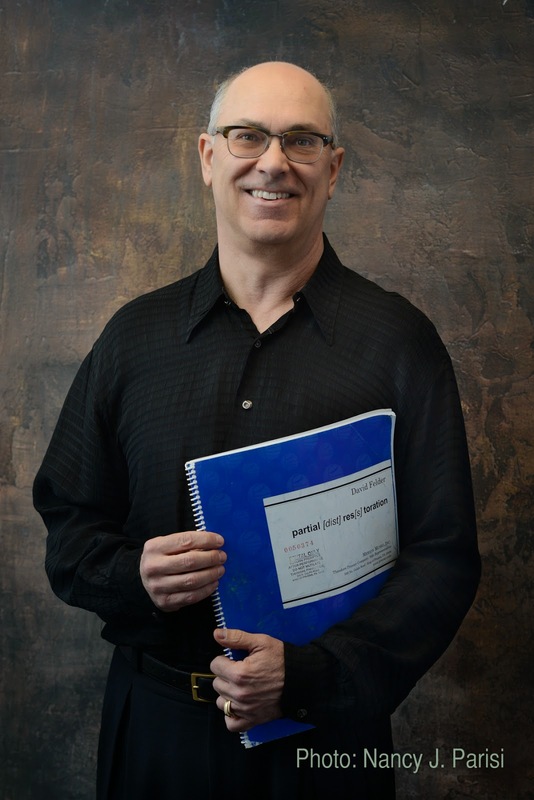 Currently a SUNY Distinguished Professor and the Birge-Cary Professor in Music Composition at the University at Buffalo (UB), Felder wears many hats: as professor, practicing composer, and arts administrator. In these roles, he has built UB’s music department into a formidable powerhouse for new music. As a composer, Felder has recently completed two large-scale works: Netivot for string quartet, electronics, and video, and Les Quatre Temps Cardinaux, for vocal soloists, orchestra, electronics, and video, both of which have been featured at recent June in Buffalo Festivals. This year’s festival features two Felder premieres: Canzona, to be performed by the Buffalo Philharmonic’s brass section, and Violin Concerto, a portion of a longer work in progress to be performed by Irvine Arditti and Ensemble Signal. Three other Felder works will also be presented: Incendio, performed by the Buffalo Philharmonic brass; Another Face, performed by Irvine Arditti; and partial [dist]res[s]toration, performed by Ensemble Dal Niente. Like Felder’s earlier work Incendio, Canzona is, as the composer describes it, a “trans-literation” of an existing vocal work of his own. Historically, the canzona emerged in precisely this fashion during the late 1500s, and Felder’s interest in the music of this period, particularly in Robert King’s brass arrangements of Giovanni Gabrieli’s canzonas, was a crucial point of departure for the work. Although Felder’s Canzona is a 21st century work written in his strikingly individual musical language, it engages with numerous aspects of the historical canzona: a consciously “choral” approach to ensemble writing, continuity of rhythmic momentum, and quasi-antiphonal textures. Violin Concerto will be a preview of a few movements from what will eventually be an eight-movement, 25-30 minute work, to be premiered in full by Irvine Arditti and Ensemble Linéa on a concert at UB’s Center for 21st Century Music in November. While Felder’s works of the 1980s and 1990s explored extended single-movement forms (such as Another Face), starting in the early 2000s, he started exploring a unique approach to multi-movement form (such as in partial [dist]res[s]toration). While in 18th- and 19th- century approaches to multi-movement form, movements contrasted with each other, and internally unified through key, tempo, instrumentation, topoi, and more, Felder describes his individual movements as “kaleidoscopic,” as each drawing upon multiple, contrasting threads of material. Also a tireless arts administrator, he oversees four arts initiatives at UB. Through diligent work over more than three decades, he has built up one of the leading centers for new music in North America, and sustained it in the wake of declining state funding and local foundation funding. Perhaps most notably, he has led June in Buffalo since 1985, taking the reins from former UB Professor Morton Feldman; former June in Buffalo faculty member Harvey Sollberger has chronicled Felder’s tenure as director in detail here. Felder also leads Center for 21st Century Music at the University, an institute that produces guest artist concerts and guest lectures by high-profile national and international new music luminaries. Through the Center, Felder is artistic director of the Slee Sinfonietta, UB’s resident faculty chamber ensemble, whose focus is the performance of 20th century classics and new works. Felder’s activities also extend beyond the music department: together with fellow SUNY Distinguished Professor Bruce Jackson, Felder is founding co-director of the multi-disciplinary Creative Arts Initiative, a platform for master artists to conduct residencies at UB. This year’s festival is notable for its partnerships with two European institutions, the Norwegian Academy of Music in Oslo, Norway, and the Voix Nouvelles Course for Young Composers at the Abbaye de Royaumont near Paris, France. Two composition professors from the Norwegian Academy will be featured faculty at the festival, while an ensemble of Academy graduate performance students will perform works by graduate composition students from both the Academy and UB; this publication detailed these activities in a past post. In partnership with Voix Nouvelles, June in Buffalo and its partner course will exchange participant-composers each year. Beyond partnerships, this year’s festival presents an unusually stylistically diverse rostrum of faculty composers, together with some exceptional concert programming. In non-coastal America, it is uncommon to hear top-notch European new music chamber ensembles like Cikada; it is perhaps even more unexpected to hear live performances of music like Brian Ferneyhough’s challenging chamber music (particularly a lengthy, ultra-virtuosic work for larger forces like Terrain). Similarly, it is rare in the US to hear a full program of new orchestral works, as the festival offers on its final concert. A full concert schedule is available here—we look forward to seeing you there! June in Buffalo marks the culmination of an exchange project between composers and performers in Buffalo and Oslo, Norway. Organized by June in Buffalo Director and UB Distinguished Professor of Composition David Felder, Norwegian Academy of Music Professor of Composition Henrik Hellstenius, Norwegian Academy of Music Associate Professor of Percussion Kjell Tore Innervik, and UB PhD candidate in composition Colin Tucker, the project will bring two Norwegian ensembles—Cikada Trio and Bifrost Ensemble—to the June in Buffalo Festival, alongside two faculty composers—Henrik Hellstenius and Eivind Buene—from the Norwegian Academy of Music. Cikada Trio, a subset of the larger Cikada Ensemble, returns to Buffalo after an acclaimed visit to the Center for 21st Century Music in 2010. At this year’s June in Buffalo, a trio of longtime Cikada members—Anne Karine Hauge, flute; Rolf Borch, clarinet; and Kenneth Karlsson, piano—will perform works by living Norwegian composers: faculty composers Henrik Hellstenius and Eivind Buene as well as Maja Ratkje and Asbjørn Schaathun. One theme running across the concert is the re-imagining of found material: Buene’s Landscape with Ruins alludes to fragments of tonal vocables, while Ratkje’s Two small pieces for Arnold S. takes its point of departure from two chords found in Arnold Schoenberg’s Little Piano Pieces op. 19; Schaathun’s Stravinsky goes Bach and Schaathun goes Frescobaldi is also based on small fragments, in this case from Stravinsky’s Cappriccio and Concerto for Piano and Winds. In previous posts, this publication profiled two composers--Eivind Buene and Henrik Hellstenius--featured on this program. Active for over two decades, the ensemble is renowned for its high-profile festival appearances and recordings alike. From its earliest days, Cikada distinguished itself by pursuing ambitious projects—music of great performative difficulty by Liza Lim, James Dillon, and Richard Barrett, multimedia collaborations, and numerous concert length works, for instance, by Martin Raune Bauck and Richard Barrett (the latter in collaboration with the Australian ELISION Ensemble). The ensemble is also known for its long-term collaborations with Scandinavian composers; the trio’s program at this year’s festival, featuring works by four living Norwegian composers is evidence of the ample fruits of this endeavor. Cikada is now a widely recognized senior ensemble in the Scandinavian new music scene; complementing this, this year’s festival features a young, up-and-coming ensemble from Oslo. Bifrost Ensemble is a recently formed sextet (trumpet, clarinet, percussion, harp, violin, and cello) made up of graduate students in performance at the Norwegian Academy of Music. Advised by percussion faculty member Kjell Tore Innervik, the group will give world premiere performances of works by graduate student composers from UB (Roberto Azaretto, Derick Evans, and Colin Tucker) and the Norwegian Academy (Jonas Skaarud) at June in Buffalo. The piece is about chrysanthemums, shivering lakes, yellowgreen trees in the sunlight and other nice pictures. But often they pass quickly. And while you try to grasp them, they reshape and reshape. And they pass. And you try to grasp them, and they reshape. If 19th century Western art music’s aesthetics of melodic lyricism sought to transcend the materiality of the instrumental medium, scripting musical sound as a transparent vessel for ineffable meaning, the present work materializes these aesthetics’ conditions of impossibility, staging melody’s submersion into its physical medium. The instruments strain to enunciate melodic fragments against the headwinds of hushed, high tessituras and instrument-specific techniques that magnify unpredictable interactions between performers’ bodies and their instruments: air sound (clarinet), quiet tremolo from a close distance (percussion and harp), and extremely slow bow (strings). The program will also include Innervik’s interpretation of former UB professor Morton Feldman’s King of Denmark, a “graph piece” from 1964 to be played at a very quiet dynamic, using only fingers and hands on a variety of instruments. Shortly after its Buffalo presentation, the program will travel to New York City for a concert at the Norwegian Seamen’s Church (317 E 52nd St.), on June 8 at 6pm. Plans are underway for further performances of the new works in Oslo. The June in Buffalo Festival takes place June 5-11 2017 on the University at Buffalo campus. June in Buffalo offers an intensive schedule of seminars, lectures, workshops, professional presentations, participant forums and open rehearsals as well as afternoon and evening concerts open to the general public and critics. Each of the invited composers will have one of their pieces performed during the festival. Evening performances feature faculty composers, resident ensembles and soloists renowned internationally as interpreters of contemporary music. Faculty composers include Eivind Buene, David Dzubay, David Felder, Brian Ferneyhough, Henrik Hellstenius, and Jeffrey Mumford, while resident performers include Dal Niente, Mivos Quartet, Ensemble SIGNAL, Slee Sinfonietta. Buffalo Philharmonic Orchestra, Cikada Trio, and Irvine Arditti. A schedule of all June in Buffalo concerts is available here. June in Buffalo is delighted to welcome Henrik Hellstenius as a faculty composer in 2017. Hellstenius will be featured at June in Buffalo alongside composer Eivind Buene, the Cikada Trio, and the Bifrost Ensembles as part of a broader musical exchange between Buffalo and Oslo during 2017, to be profiled in a future blog post. 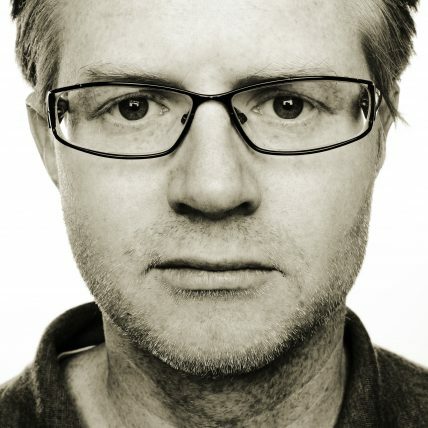 Currently professor of composition at the Norwegian Academy of Music in Oslo, Hellstenius has written music that has appeared on 22 commercially available recordings, spanning chamber music, orchestra, opera, electroacoustic music, and music for theatre. This year’s June in Buffalo will feature performances of Hellstenius’s chamber and solo music. During the festival, Hellstenius will also give a lecture and will give feedback to participant-composers in masterclasses. Rift, a string trio from 2014, will be performed by the MIVOS Quartet; Trio Aristos’s recording of the work is available on Tidal, Spotify, and iTunes. Perhaps most immediately striking about the piece’s musical language is its approach to accumulating and dissipating gestural energy. While the piece follows a familiar global shape of accumulation to a high point (4:50 in the Trio Aristos recording) followed by dissipation, this shape unfolds in unpredictable and remarkable ways on a local level. In accumulating momentum over the piece’s first five minutes, the piece charts a patient, often discontinuous trajectory. Much of the first half of the piece attempts to gather rhythmic energy on descending scalar figures, as if trying to roll down a hill; these efforts rarely sustain themselves, and often end up far afield of their goal. At times, one’s location within the global energy shape is clear, but at other times, it is not apparent at all, making for an exciting play of expectation and realization as the piece unfolds. The piece’s nuanced dramatic shape is undoubtedly assisted by the piece’s subtle pitch language. Pitches are derived from spectral chords, yielding a colorful range of microtonal intervals. These intervals—sometimes reminiscent of tonal sonorities—together with the piece’s widely varying registral spacing in a striking sound world wholly distinct from the saturated chromaticism of high modernist atonality. June in Buffalo will also feature a performance by Irvine Arditti (of the Arditti Quartet) of the violin solo The Argonaut (2010). You can hear a performance of the work by Emily Fowler in the recording above. Drawn from the material of a larger instrumental theatre piece Victoria Counting for staged violinist. Hellstenius writes that “the title refers to the seamen following Ulysses on his many voyages,” based on Heiner Müller’s text Landscape with Argonauts. Victoria Counting II from Henrik Hellstenius on Vimeo. 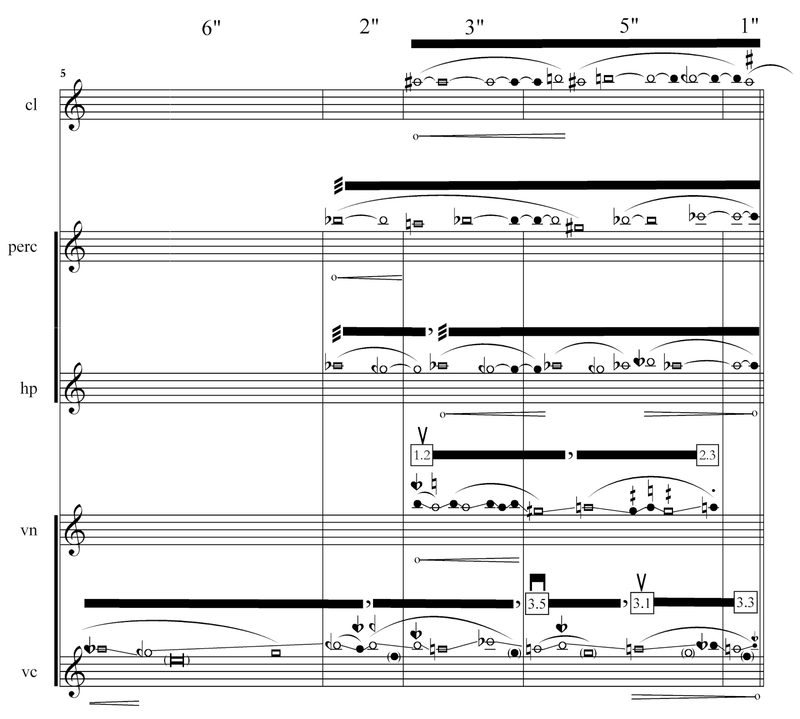 This piece shifts between short sections, or moments, with repetition of a sparse material of chords and sound objects, and moves towards a more linear music. It begins in an environment of small cells of noise sound and repeated musical objects. 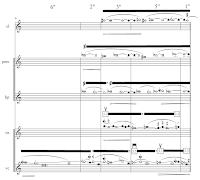 Then it moves towards the linear outstretched music, unfolding gradually a long garland or chain of tight piano chords forming the nave the last part of the piece. The piece develops from fragmented music towards compound music, from objects towards process. Despite the attention that his music has received across Europe, Hellstenius’s music has rarely been performed in the US. This year’s June in Buffalo, with performances of multiple recent works by top new music ensembles, provides optimal introduction to his music. This week renowned British soprano Juliet Fraser visits the Center for 21st Century Music for a residency. Fraser, principal soprano and co-founder of the Exaudi Vocal Ensemble, will present a solo concert Thursday featuring an extended vocal work by former UB Professor Morton Feldman. In addition to a concert, she will conduct a new workshop with graduate composition students, focusing on a new work for solo voice by PhD composition student Jessie Downs. Drawing on her experiences performing contemporary vocal ensemble music, Fraser will also coach the local Sotto Voce Vocal Collective on its interpretations of works by James Weeks and Lauren Redhead to be featured on an upcoming concert. Active in performing a wide range of repertoire, Fraser has performed classical and early music with the Monteverdi Choir, The King's Consort, The Tallis Scholars, and BBC Singers, and was a soloist of the Collegium Vocale Gent, directed by Philippe Herreweghe, for six years. In new music, she is principal soprano and co-founder of the Exaudi Vocal Ensemble, and has also appeared as soloist with Klangforum Wien, ICTUS, Plus-Minus, We Spoke: New Music Company, London Sinfonietta and BBC Scottish Symphony Orchestra, and is active in duos with pianist Mark Knoop and percussionist Maxime Echardour. She has appeared at festivals such as as hcmf//, Tectonics Glasgow, Transit 20/21, Donaueschinger Musiktage, MaerzMusik, Wien Modern, Aldeburgh, Spitalfields, hcmf//, ManiFeste, Festival d'Automne, Ars Musica, Wittener Tage and Darmstadt Ferienkurse. Fraser has developed close collaborative relationships with numerous renowned living composers. The list of composers who have written solo works for her is impressive: Michael Finnissy, Bernhard Lang, Rebecca Saunders, Stefano Gervasoni, Frank Denyer, Christopher Fox, Matthew Shlomowitz, Cassandra Miller and Andrew Hamilton. As a member of Exaudi, she has worked with many of today's great compositional talents, including two graduates from UB’s Center for 21st Century Music. Aaron Cassidy’s A Painter of Figures in Rooms was commissioned for Exaudi by the high profile PRS for Music New Music 20×12 as part of the 2012 London Cultural Olympiad, and was later recorded by the ensemble on Huddersfield Contemporary Records. Meanwhile, Fraser has premiered multiple vocal ensemble works by Evan Johnson, a collaboration that will continue in 2019 with a new work for voice and piano. At UB, Fraser will perform Three Voices, a work by another UB-affiliated composer, Morton Feldman, who was Edgar Varèse Professor during the height of the Center for Creative and Performing Arts. Feldman wrote the work for innovative vocalist/composer Joan La Barbara, who premiered it singing simultaneously with two recordings of herself, a practice Fraser will adopt in her performance (although the score is written conventionally for three voices). Written in 1982 in Buffalo, much of the piece is wordless, with the choice of vowels at the performer’s discretion. A ways into the piece, words emerge, in the form of fragments of a poem dedicated to Feldman by his friend Frank O’Hara. The challenge of recording this piece is to avoid rendering the delicate tapestry either too cold, too clinical, or too gorgeous; to rest in the ambiguous space between beauty and evil, between the living and the dead. On every level, from the text of O’Hara’s poem to the demands of Feldman’s music, this is a work that is about the very human effort of wondering, reaching, grasping.